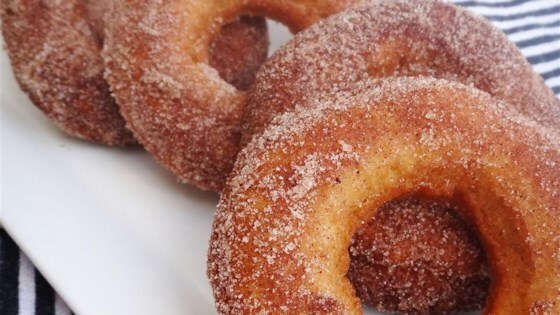 "A simple cake doughnut lightly spiced with cinnamon and nutmeg. Coat with cinnamon-sugar, or a confectioners' sugar glaze." This was a great easy recipe. I had everything on hand and mixed up the batter the night before and shaped them so they were ready to be cooked right away in the morning! !